Raymonde J. McGraw, 76, of Moncton, passed away peacefully at her residence on Monday, December 3, 2018 after a courageous battle with ALS. Born in Tracadie, she was the daughter of Éva (Brideau) and the late Arthur Losier. 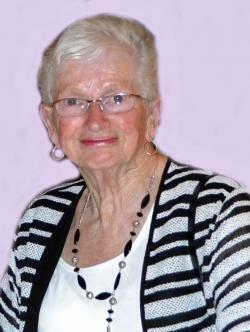 Raymonde graduated in Nursing from Hotel Dieu St. Joseph in Tracadie in 1962. Over the years, she worked as a General Duty Staff Nurse, Head Nurse, Private Duty Nurse and finally as a Nursing Supervisor for over 20 years. She worked in many hospitals including Hotel Dieu St. Joseph, the Saint John General Hospital, the Halifax Infirmary, St. Rita’s in Sydney, Colchester Regional Hospital in Truro, and St. Joseph’s Hospital in Saint John. She loved spending her retirement years travelling across the US, at their resort in Myrtle Beach and at Pleasant Lake Campground in Calais, Maine, gardening, being outside, and socializing with her family and friends. Most importantly she cherished spending her time with her husband Bob. Raymonde attended St. Rose of Lima Church in Saint John for many years; she was most recently a member of St. Augustine’s in Moncton. Raymonde will be sadly missed by her husband of 55 years, Robert McGraw; daughter, Monique Richards (Gavan) of Calgary, AB; sons, Brian McGraw (France) of Holland Landing, ON, Vernon McGraw of Riverview and Gary McGraw of Moncton; grandchildren, Jayde, Joshua, Drake and Jared; siblings, Lorraine, Marielle, Claudette, Yvette, Marie-Paule, Léonide, Vernon and Jean-Yves; along with many nieces, nephews and extended family members. In addition to her father, she was predeceased by her grandson, Austin Richards and brother, Réjean Losier. Visitation at Fergusons Funeral Home, 1657 Mountain Road, Moncton (858-1995) on Sunday from 1:00 to 4:00 pm. A Funeral Mass celebrating Raymonde’s life will be held at St. Augustine’s Roman Catholic Church, 340 Dominion St., on Monday, December 10, 2018 at 11:00 am with Rev. Jean Bernard Mallais presiding. Reception in the Parish Hall following Mass. Interment will be in Holy Cross Cemetery, Saint John, in late spring. St. Augustine's Roman Catholic Church, 340 Dominion St.